Several months ago I responded to a call for submissions on “Books that changed my life” at an eclectic site called The Drunken Odyssey – a podcast about the writing life. I asked the editor, John King, if he’d be interested in my story about A Writer’s Diary. He responded with enthusiasm—turns out he’d studied with Woolf scholar Anne Fernald. The segment was published this week in Episode 189 of The Drunken Odyssey. It starts with a lengthy discussion about Lawrence Ferlinghetti. If you want to skip ahead, I’m at the end, starting at about 51:50. My husband is a musician with a home studio, so he recorded my piece and added the accompaniment. It’s not an overstatement that A Writer’s Diary changed my life, and I enjoyed having this opportunity to tell my tale outside of the usual Woolfian circles—to preach beyond the choir. A book by any other name …. It’s a monograph: “a specialist work of writing on a single subject or an aspect of a subject, usually by a single author.” But indulge me–it has an ISBN, an International Standard Book Number, so let’s call it a book–a small book, but a book (we won’t trivialize it with “booklet” or “bookette”). Thank you! 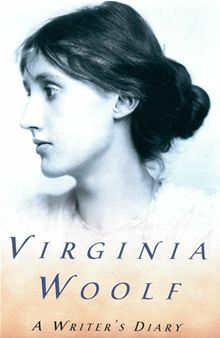 That said, I’m happy to announce that Virginia Woolf as Memoirist: ‘I am made and remade continually’ has just been released by Cecil Woolf Publishers in London. This is my second inclusion in the Bloomsbury Heritage Series, which includes more than 70 publications about the lives and work of Virginia Woolf and others in the Bloomsbury group. The year 2014 has started off right, with writers citing Virginia Woolf heading into the new year. And a story in the Tampa Bay Times, “Five things you need to know before ‘Downton Abbey’ returns Sunday,” holds out hope that Woolf will appear in a cameo role during season four of the popular PBS soap opera. But we have heard that her appearance ended up on the cutting room floor. Marta Rodríguez Iborra submitted this guest post to Blogging Woolf. It describes her impressions of Virginia Woolf’s Diary entry written one week after Katherine Mansfield’s death. Among all the entries of the second volume of Virginia Woolf’s Diary I would like to comment briefly on the 16 January 1923 record, as I consider it to be quite unique. Katherine Mansfield died on 9 January 1923, and so a week later VW tries to describe the impact that this loss has had on her in her private diary. VW has some difficulty in expressing what she feels. “It is strange to trace the progress of one’s feelings. […] A shock of relief? –a rival less?” However, despite the confusion and the apparent two-fold dimension of this tragic event, VW confesses to have fallen into depression. If KM is not there anymore, what is the point of writing? VW remembers that KM once wrote a letter to her with the request: “Do let us meet in the nearest future darling Virginia, and don’t quite forget”. Now in this 16 January1923 diary entry, VW wants to analyze how far she is obeying Katherine. First of all, though, before answering that question, she needs to find out what kind of relationship they had. Any reader of VW’s diary knows that she writes in it as a professional writer. She is obviously under time pressure and she does not correct her texts as they are private, but as far as the style, the choice of themes and the depth of her observations are concerned, one notices that VW can hardly take off her mask of experienced writer, of an intellectual woman. In fact the mask is her skin. As an exquisite writer Woolf describes emotions in a literary way, at the exact distance avoiding a pathetic undertone. So even after KM’s death VW does not surrender to sentimentalism. The colour and music of her sentences are perfectly and naturally controlled by her pen. However, in this specific diary entry she exceptionally lets go. And those leaks are pure and too important to get to know our Bloomsbury diarist in a new dimension. Through the half open door of this entry the reader does not only see Virginia’s Woolf writer’s mask/face, but she/he reaches her soul, too. In the following diary entry dated 28 January, VW confesses that she continues to write but that she does it “into emptiness” because there is no competitor anymore. That might be true, but one also feels a painful ellipsis there. VW misses KM as a human being, as a woman, as a writer, as a friend, almost as a sister, or even as an alter ego, as another I. 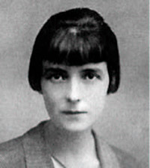 How could Virginia Woolf possibly ever forget Katherine Mansfield? 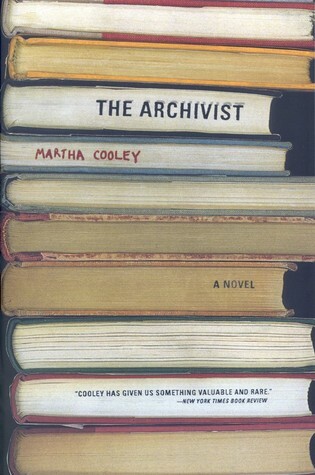 Meandering through the bounteous bookshelves of a writer friend in Seattle for whom I was recently house-sitting, I zeroed in on The Archivist, a 1998 novel by Martha Cooley. The story revolves around a cache of letters from T.S. Eliot to Emily Hale that Hale bequeathed to a university library (unnamed in the novel) in 1965, with the stipulation that they not be opened until 2020. This is true; the letters are at Princeton, sealed until 2020. The archivist’s wife is a poet, and they share an interest in Eliot. After her death he takes the university position right around the time of the bequest and meets a graduate student who is interested in the letters. I was just remembering how Virginia Woolf once said Eliot was sordid and intense. Did you know that when he was still married to Vivienne, he occasionally wore face powder when they went to dinner parties? Can you imagine? I guess he couldn’t resist the temptation to dramatize his suffering—God knows Vivienne wore hers on her sleeve. Seems to me she’s talking more about the play and his approach to it than Eliot himself. While she does implicate Eliot’s character and craft with her curt observations, the quote, out of context, strikes me as a bit too convenient for Cooley, the Woolf citation too dishy to resist. Still, it was a fascinating novel. 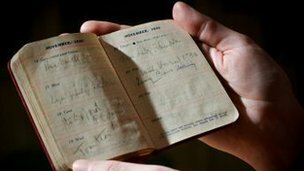 Personal details of Virginia Woolf’s final years are available to the public for the first time after the University of Sussex acquired this engagement diary and seven more at a Sotheby’s auction. 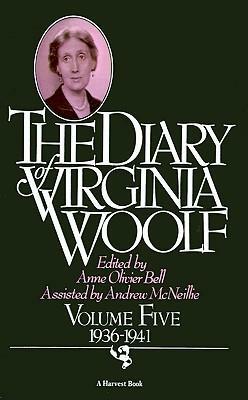 The diaries briefly record Woolf’s meetings with contemporaries, including E. M. Forster and T. S. Eliot, along with visits to her artist sister Vanessa Bell. They also indicate when she would be staying at her home Monk’s House in Rodmell, East Sussex. Some of the diaries include pencil lines through several dates and appointments, accompanied by the word “Bed,”indicating periods when she was experiencing health problems. 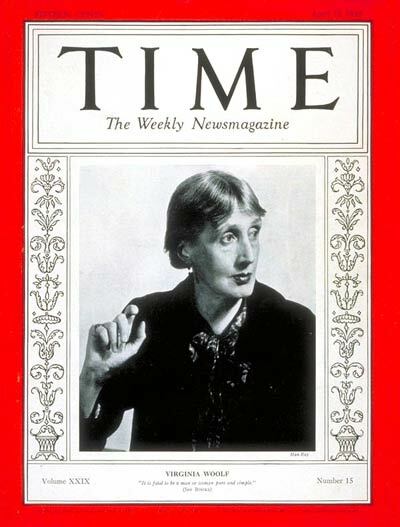 The University’s Special Collections has an extensive collection of materials related to Woolf. It bought the diaries to complement the Monks House Papers, which were donated to the University’s Special Collections in 1972 and contain Woolf’s correspondence from other writers, family, friends, admirers and publishers. They also include her reading notebooks, drafts of essays and typescripts of some of her works, proofed and corrected in her own hand. The Monks House Papers fall into three groups: letters, manuscripts and press-cuttings. There is documentation of Woolfs career from her earliest journalism to what was possibly her final short fiction, The Watering Place, a two-page manuscript which draws on a diary entry of 1941 written shortly before her suicide. Fiona Courage, special collections manager, said: “The collection very much represents Woolf’s ‘everyday’ life in the same way that the pocket engagement diaries do. As with the engagement diaries, our collections relate to Woolf as an individual rather than her public persona of novelist, reviewer and essayist. The University was able to raise the £60,000 necessary to buy the diaries with support from the V&A/MLA Purchase Grant Fund*, the Friends of the National Libraries and a number of individual donors. Additional biographical and literary manuscripts of Virginia Woolf that were at Monk’s House are now in the Berg Collection of the New York Public Library in New York. The Berg Collection holds the largest collection of Woolf manuscripts in the world.